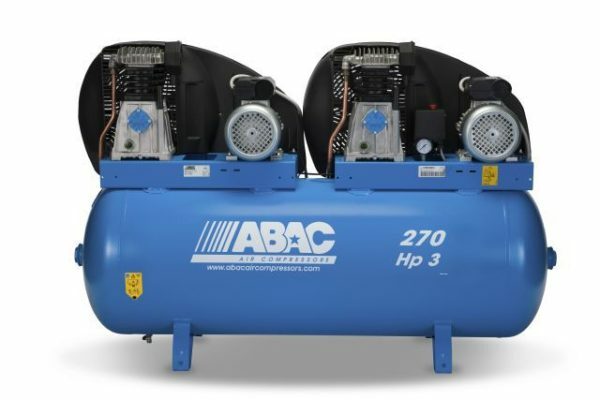 Abac compressors offer compressed Air. Anytime. Anywhere, as is noted on their website abacaircompressors.com. Their website allows the visitor to choose one of seven languages, suggesting that Abac compressor operates globally. In fact, they refer to the more than 300 distributors in more than 100 countries that represent Abac compressors. Abac offers a range of piston (reciprocating) air compressors, some with direct drive, and both single and two stage designs. Their screw compressors are designed for continuous air flow, low noise, greater efficiency than reciprocating pump compressors, and they profess to offer longer life expectancies than piston type compressors. One of the huge benefits of dealing with a professional company is their support. The Abac compressors website offers a portal to a broad range of parts supply and compressor service information. If you have a question about an Abac Air Compressor, that’s the logical first place to start. This site is another. If you wish to pose a question to other Abac compressor owners, you can do so using the comment form below. With luck, a kind Abac owner will have experienced the issue with their compressor that you are having with your Abac, and add some information for you. My compressor ABAC has been out of use for 7 years. How do I re-commission it without incurring a massive Repair bill. Also would someone please supply a wiring diagram. Start – Run with a capacitor. Bit hard to answer that Bill without knowing if we are talking about one of their piston type or rotary screw type compressors, the latter being a bit more complex, yes? See the page I’ve moved this post to, and contact Abac directly with your model. You might want to see some of their excellent videos about compressor maintenance while you are at it.